will be adjusted with any tour you undertake, anywhere & anytime; no time limit to encash your advance amount. refer 3 other persons to book a tour with us. cash-back in your bank - (1st Stage). they too will earn Rs.1200/- & you will earn Rs.1800/- (2nd Stage). 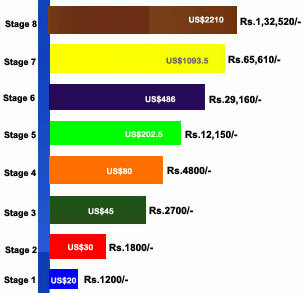 Five: Like this you can earn up-to Rs.2.5 Lacs in only (7 Stages) very easily. 1) First deposit Rs.1500/- in the Bank (or) Pay through Paytm (or) UPI. 2) Send a SMS with <YOUR NAME> <SEND CODE> to +91 700 3796 250 from your mobile. 3) You will receive a SMS with the unique Unit No. 4) Now write this Unit No. in the Introduced By [BOX] given in the Membership Page. Then fill up the Membership Form with the required details. The Booking / Membership Fee has to be paid/deposited only in our Bank. Company website in the Member Log-In section. The cash-back payable to you will be deposited by Auto Transfer directly into your Bank a/c / (or) your PayTM a/c & which will be credited instantly whenever a new Direct Seller / Member comes under your Network Group. Once allotted your Direct Seller / Membership No, you CANNOT cancel the same but will be allowed to transfer or gift the SAME UNIT to your nominee (or) redeem the same against any Tour / Hotel Booking ONLY. 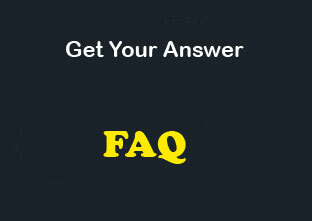 See FAQ (Frequently Asked Questions). You can also book several Units in a single name or in the name of your family members to increase your limit of Cash-Back income. Persons having small Office / Table Space (or) internet facility at Home can also become Booking Agent for tour bookings of Bengal Tourism with only Rs.6,000/- (fully redeemable against 1+3 tour booking / Units) in a single name & get immediate cash-back income under Refer & Earn plan of ( Rs.1,200/- to reach Stage-1 ) You will also be eligible to earn upto Rs.10 lacs cash-back in the Direct Seller networking scheme plus direct income (Rs. 30-60 thousand) from commissions Per Month + incentives & bonus on all regular tour bookings. PLEASE REMEMBER: This is NOT an offer for sale of any Shares or Debentures / Money Market Activities / Investment in Land or Properties / Chit Fund business / Collective investment or Promise of Interest Return. The Company reserves the right to deduct any taxes or duties as per statutory rules. The Company will also send & offer you gifts / vouchers / other benefits as will be offered by our Business Partners & Affiliates from time o time. FRANCHISEE & AGENTS: Persons.....having small office space, internet connection & only Rs. 6,000/- (100% adjusted against any tour)) can become a Franchisee / Direct Selling Partner of Bengal Tourism. See the (Refer & Earn) in website of Bengal Tourism for details to join this on-line Package Tours & Travel Business for regular income upto Rs.10 lacs & more. R E F E R: Only 3 other persons to book any tour with us. E A R N: Cash back upto Rs.2.5 lacs directly into your bank a/c. JOIN OUR MEMBERSHIP NETWORK: Persons..... who loves to travel can also join on-line as (part-time / full-time) with only Rs.1,500/- as advance booking of any tour and refer only 3 others to book a tour with us in (MLM / Net Working System) for automatic cash-back income upto Rs.2.5 lacs PLUS many other incentives & free tours.